All of the laureates received considerable support from the public, both in terms of the quantity of “votes” acquired, and the quality of the comments and the support letters received. Marie Dennis is the laureate who received the greatest number of supporting gestures overall, from a largely international audience. We wish to congratulate these peacemakers for both their determination and their contributions, along with others, to the pursuit of durable peace that is rooted in respect for human dignity and the conviction that it is possible to live in a world without violence or exclusion. 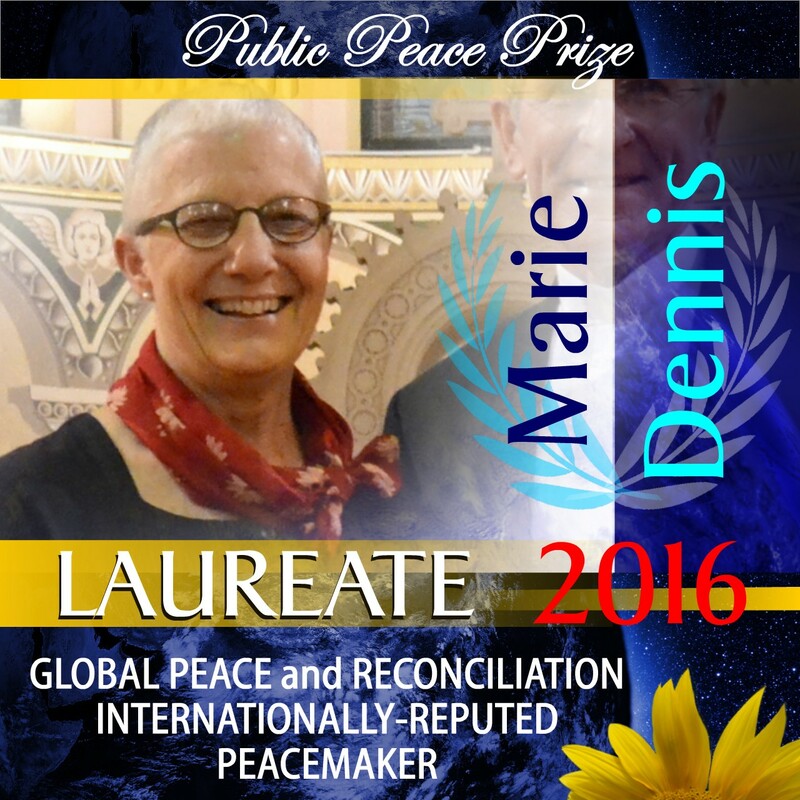 Marie DENNIS, of the United States, is a respected icon of peace and reconciliation movements on an international scale. Her implication in a number of endeavours reuniting a compassionate vision, the art of negotiation and spiritual wisdom and her contribution to intercultural and interreligious dialogues are indispensable to world peace. 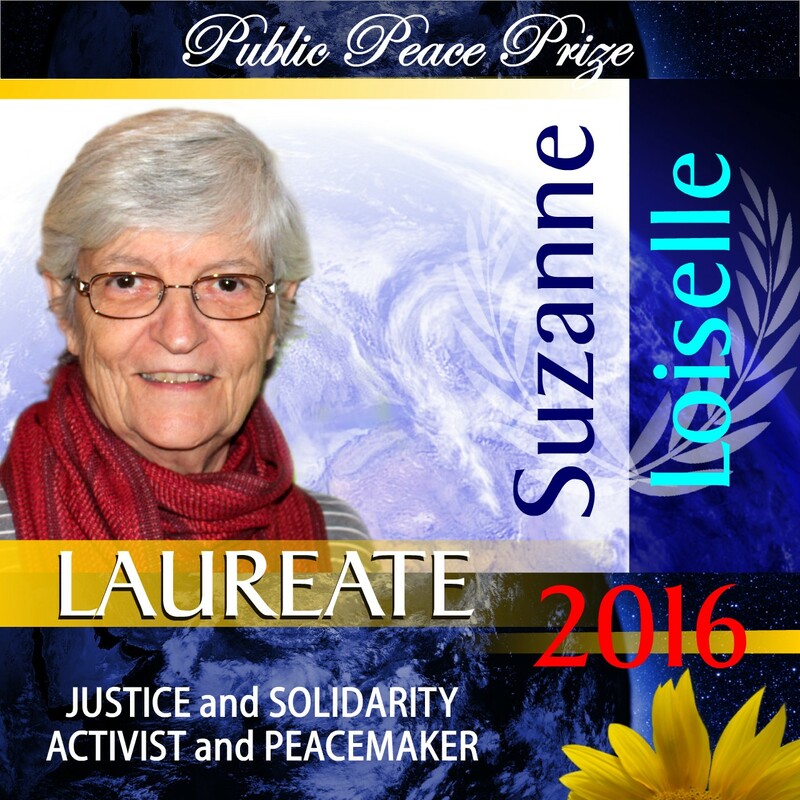 A large number of her project partners and people who have witnessed her work from several countries have expressed their support and admiration to this laureate of the 2016 Public Peace Prize as GLOBAL PEACE and RECONCILIATION INTERNATIONALLY-REPUTED PEACEMAKER. 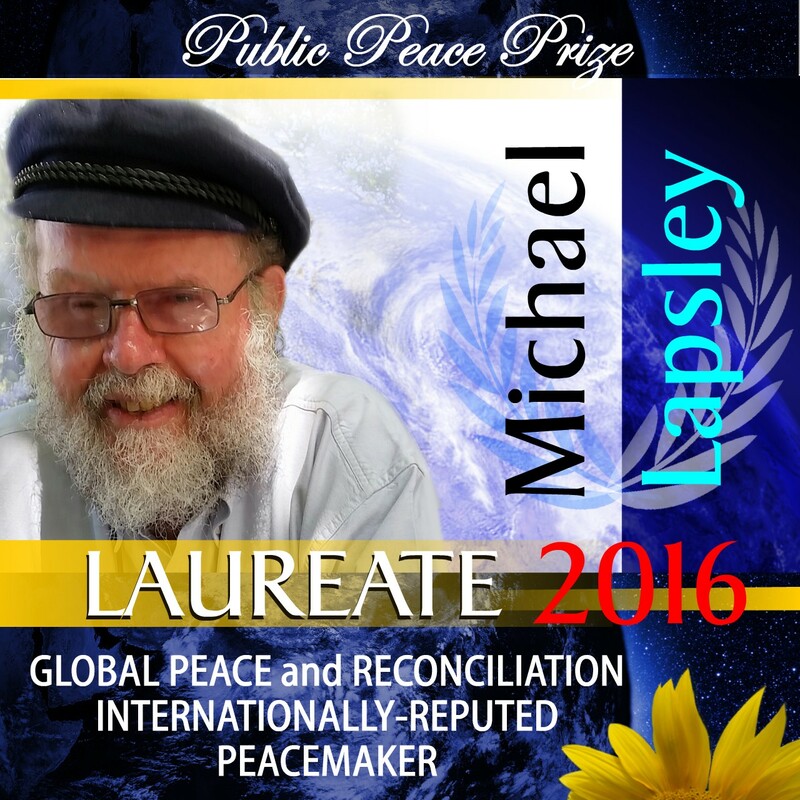 Michael LAPSLEY, a priest from South Africa who works with victims as well as authors of apartheid and other forms of repression and exclusion, is publicly recognized for his disarming strength that has transformed wounds into powerful healing and reconciliation. The numerous comments and support received online focused on his courage, his approach for healing memories, and warmly recommended he be recognized as GLOBAL PEACE and RECONCILIATION INTERNATIONALLY-REPUTED PEACEMAKER for the 2016 Public Peace Prize. Antoinette LAYOUN is a therapist and a yoga master in Quebec (Canada). From her experience as a child soldier in Lebanon, Antoinette came away filled with the strength of love and now artfully teaches a way to inner peace that allows people to share their personal peace through constructive, loving lives. 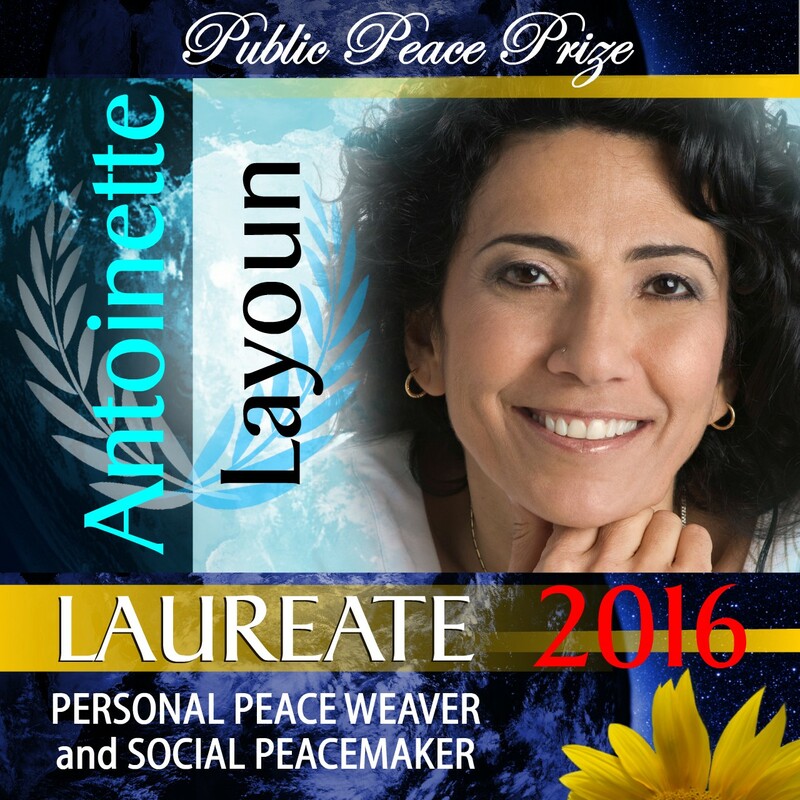 The numerous warm comments received from the public that is familiar with her workshops allowed her to be discerned with the 2016 Public Peace Prize as PERSONAL PEACE WEAVER and SOCIAL PEACEMAKER. 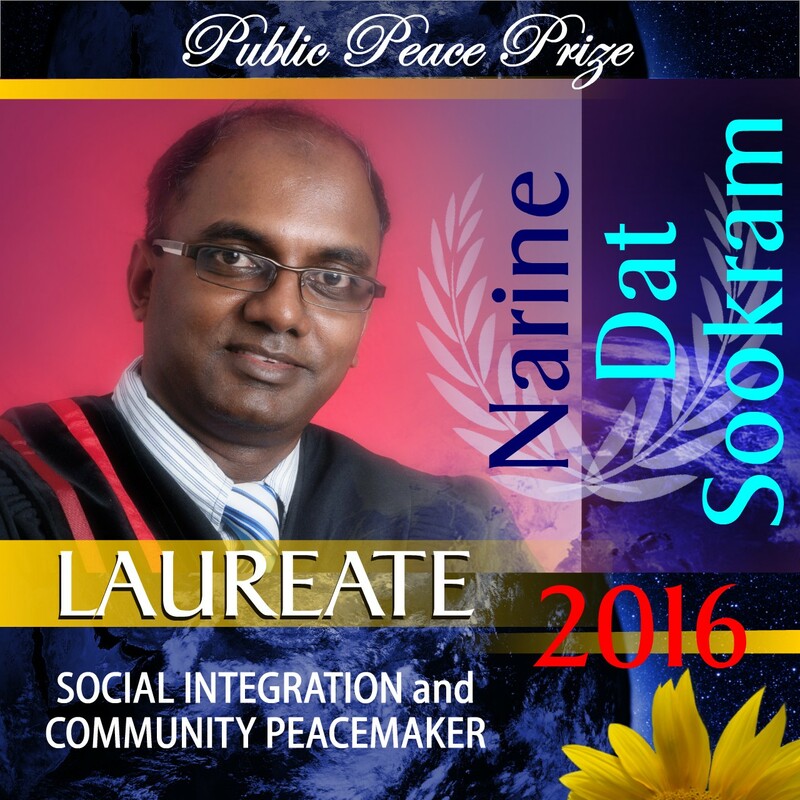 The Public Peace Prize is a citizen’s initiative without borders. Its only goal is to make better known as many peacemakers and peace initiatives as possible, beyond all forms of competition! Unlike other prizes that only disclose the names of the winners; the Public Peace Prize reveals all nominations that have received sufficient support according to an exposed procedure. The voting process invites the public to manifest their appreciation for peacemakers, and to make better known their initiatives, above and beyond all forms of competition. The method of evaluation takes into consideration public support and several elements counterbalanced according to the impact of the actions of the nominated person or group and their influence on a local, national or international scale. Every year the jury establishes the prize categories that are best adjusted to the nominations received. It has been decided that for the 2016 edition, the GLOBAL PEACE and RECONCILIATION INTERNATIONALLY-REPUTED PEACEMAKER prize will be awarded to both a male and a female nominee. 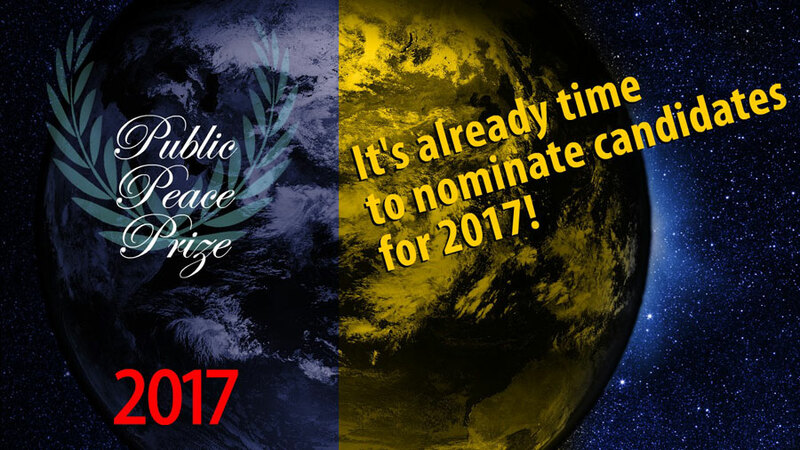 IT’S TIME TO PROPOSE A PERSON, A GROUP OR AN INITIATIVE FOR PUBLIC PEACE PRIZE 2017! ← Send us your messages and wishes for the year 2016!